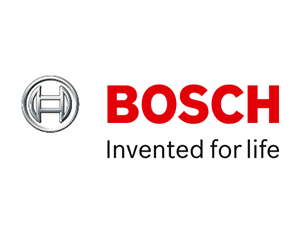 BOSCH is a worldwide brand name in a large number of areas. These include, for example, electrical and electronic automotive technology, power tools, household appliances, thermo technology, as well as automation technology and packaging technology. The small „workshop for precision mechanics and electrical engineering” which Robert BOSCH founded in 1886 in Stuttgart and which soon specialized in ignition systems for motor vehicles and engines of all kinds, has now become the BOSCH group, which is active worldwide and one of the largest companies in Germany in terms of turnover. Last year the consolidated turnover of the BOSCH Group amounted to 36,4 billion Euro and a total workforce of some 232.000 were employed in more than 50 countries worldwide. The turnover in 2006 in power tools amounted to more than 30 million Euro. Bosch power tools are the most sold ones in the world. Behind even the smallest accessory, the most specific tool, stand the know-how and the experience of an innovative enterprise.